I had originally brought along a nice camera and digital voice recorder to the Las Cruces Lions Club Gun Show today, with the intent of interviewing some vendors and patrons in regards to their feelings about the recent gun law proposals that have been working their way through the New Mexico state legislature. I thought it might make for an interesting video. 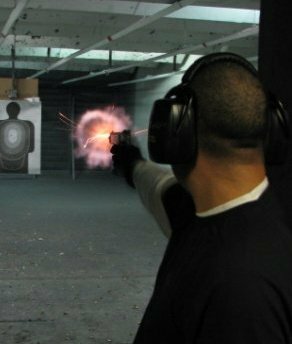 But at the last moment, I decided to leave the camera and voice recorder in the car and just go an enjoy the gun show as a bystander. However, as always I had my iPhone in my pocket completely self-aware that I would not be able to resist the temptation to take it out and snap a few photos of things that caught my eye. One of the things I enjoy most about gun shows is just how friendly every one is to each other, vendors and patrons alike. I met some real nice fellow New Mexicans today, and one new friend even invited me out shooting. There's was an old time cowboy that I chatted to for a while who claimed to have spoken on the phone to Billy the Kid back in 1960. As the story goes, a relative of his knew someone who rode with Billy the Kid and verified Billy's identity over the phone with a few questions that only the Kid would know the answer to. There are rumors that Billy the kid wasn't killed the way history books describe it, the rumors say that he lived to be quite old. If he were alive in 1960 that would have put him at about 80 years old. As thin as the story was, it was colorful and the cowboy seemed to enjoy telling it. I hobbled around the gun show floor for about an hour and a half. It felt good to exercise my still recovering ankle, but I definitely maxed out my time limit on the recently broken left ankle. Still, I enjoy the beautiful day taking in the sights at the show. 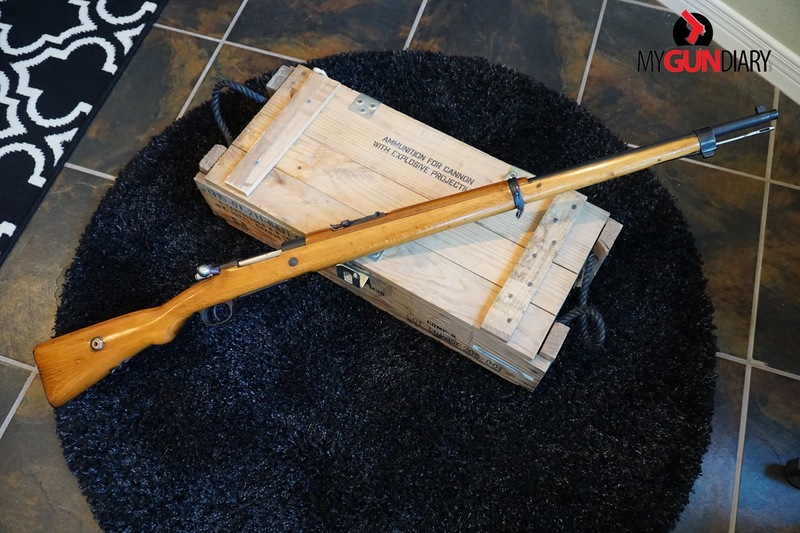 I have to commend myself for the amount of restraint and self-control I was able to muster today, as I walked away from a very nice 1948 Mosin Nagant M44 that was on sale for $260. That's a very fair price in today's market. But, I already own two M44's, one Chinese M53 and two M38's, so I definitely didn't NEED another M44. Still, at that price it wasn't easy to walk away from. Then again, the show is still going on tomorrow. Hmm? Above: I like the customized grip on this Smith and Wesson M&P 9mm but I didn't care for what they tried to do on the slide. It just looks sort of hokey no? It was by a company called Patriot Tactical and was offered at $500. CORRECTION: I'm a knucklehead. Someone was kind enough to point out that this is not at all what I thought it was (read the comments below). That this bayonet is simply turned upside down and has not been modified to be a side folding bayonet. It's just the way the seller has the bayonet on the rifle because it's included with the rifle. (I feel like an idiot). 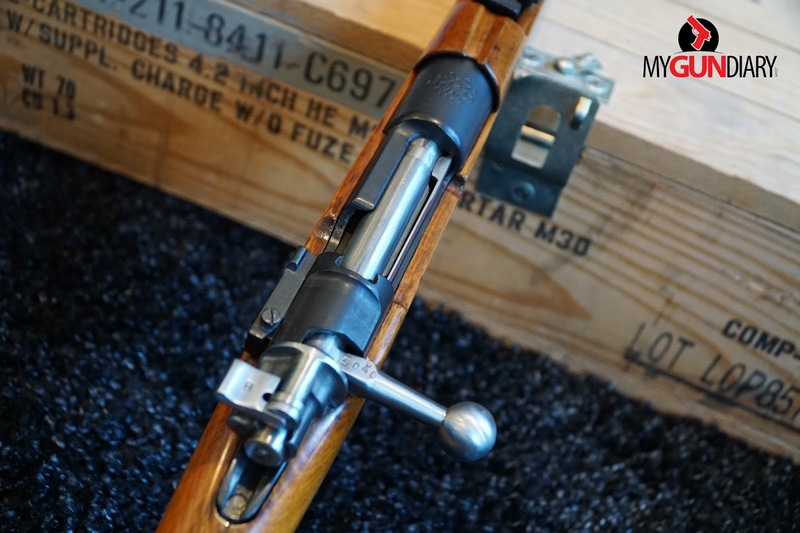 Above: Here's a really bad job at trying to add a M44 style bayonet to a 91/30. First of all, why would you want to add one and secondly, it's just looks SO bad. The seller was asking $349. Uh, no thanks. The most unique items I've seen in a long time. Not firearms related but still, these custom lamps are super cool and super expensive starting at $300-400 dollars. This No. 4 Mark 2 Lee Enfield priced at $700 made me feel pretty good about my recent purchase of a Lee Enfiled No. 4 Mark 1 that I paid $400 for. Mine is in similar condition to this one. These camera displays were for sale, again, not firearm related but they caught my eye because I am into vintage cameras as well as guns. Lastly, I don't think the guy at this table was actually selling anything, I think he was just showing off his competition target rifles. I don't remember the calibers on these but they were something funky that only target shooters would use. All the same, neat looking rifles and deadly accurate. Dude said he was hitting targets dead center at 600 yards, zoom in on those paper targets. Today I added an 8th Mauser to my growing military Mauser collection. This one is a gorgeous 1943 Ankara Turkish Mauser in 8mm. This model is commonly known to US importers as the Model 1938. However, from my research I have learned that the Model 1938 isn't just one rifle with common parts. The Turks often cobbled together Mauser parts that were interchangeable, to make complete rifles. 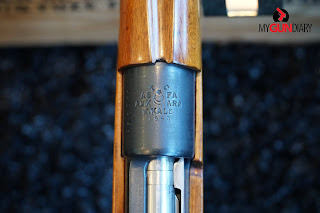 Turkish Mausers will often have non-matching serial numbers and slight variations in the stock etc. 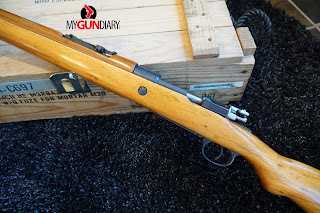 The normal stock on a Mauser such as this, is 4 inches or so longer than a K98 or Yugoslav 24/47 type of Mauser with the top hand guard only extending a little more than halfway to the front of the barrel and it looks a lot like a Gewer 98 in that respect. Normally, I only like to purchase military surplus rifles with the original stock intact and NOT refinished. Whenever possible I like to preserve the historical accuracy of the rifle, which means, an original, untouched stock. But in this case, I went ahead an picked up this rifle even though it has a refinished stock because whoever refinished it did an AMAZING job. The wood looks so fabulous, as does the rest of the rifle. Stay tuned for a range/shooting video of this rifle coming soon! You get a good look at the crest on the receiver. The bolt, receiver and barrel are all in excellent condition. Here you get a good look at the refinished stock. You can see why I couldn't pass it up. The featured video highlights my preferred method for removing cosmoline from your Mil-Surp rifles. In this case, a Yugoslav 59/66 SKS. I like to employ a heat gun, which turns the cosmoline from a thick, sticky substance, into an oily, easy to wipe away liquid. I then spray down the parts with mineral spirits and wipe them clean.